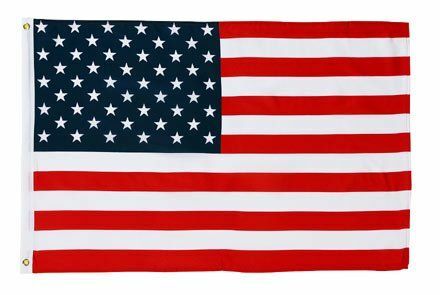 Low Cost American Flags - Economical & proudly Made in America! For those on a budget, holding US flag giveaways or looking for flags for short-term use at events, etc. We are pleased to offer these economy options. Because we never sell American flags made in another country, even these economy US flags are proudly made right here in America.